In this post, I wanted to share a couple of beauty products that didn't do too well on my currently combination/oily skin type. I grew up with this compact ever since I was in the 8th grade. Of course I was a tomboy back then and kept it a secret from everyone that I use powder, lol. Yes, I am that shallow. Don't judge #kthxbye. Some swear by this, but for me it's just not working. The mist is to big, so it always leaves me a bit 'wet' after spraying it from a distance. My makeup didn't really lasts longer with it. I really want to love this, but my skin disagrees in a form of a crowd of acne. I may have to try this again when it has subsided. I love the glowing effect it gives, but the stickiness doesn't go away even after a while. Results? Glowing skin becomes greasy skin in minutes. I know it is a physical sunscreen and it supposed to be thick, but I didn't expect it to be that thick. It's hard to blend and leaves a white cast like most physical sunscreen does. I forgot the shade, but I think it was the coral-red color. The color is beautiful, but I just can't stand the shimmers. 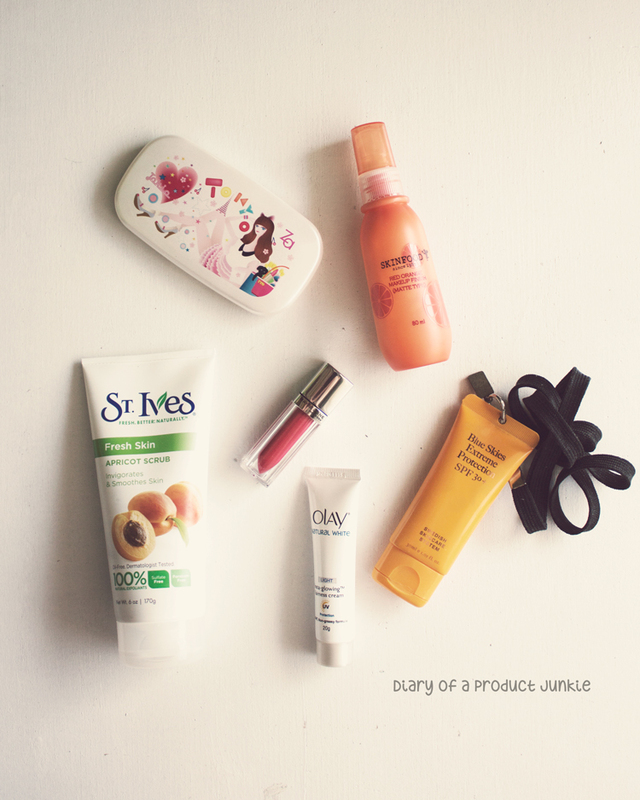 © Diary Of A Product Junkie (Stephanie Nangoi) All Rights Reserved.